At the rate we’re going, in 2050 there will be more plastic in the ocean than fish. And the kids are not alright with that. 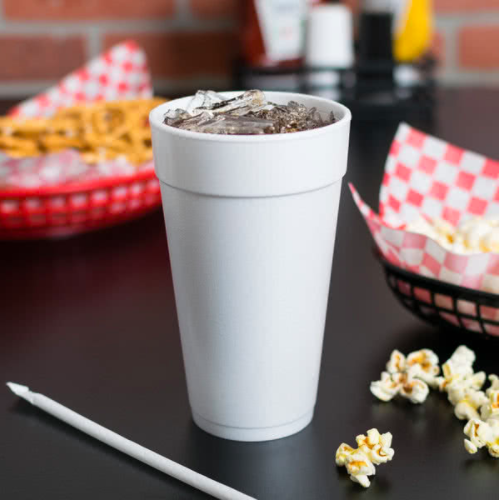 New legislative measures banning the styrofoam products commonly used in restaurants are taking effect in cities, counties, and states across the country; restaurants found in violation of a styrofoam ban face up to $1,000 in fines for failure to comply. In the wake of the United States’ withdrawal from The Paris Climate Accord, grassroots organizations across the country have doubled down on their efforts to fight for environmentally conscious policy. In some cities and states, community-driven environmental advocacy groups are spurring support for legislation on the local level. One specific area of concern for these organizations is the negative ways that polystyrene (the artist formerly known as styrofoam) food service products impact the environment at home and at large. Baltimore, Maryland is the latest large United States metropolitan area to entertain a city wide ban on styrofoam food service products, specifically taking aim at the styrofoam takeout food and drink containers used by restaurants. Let's take a look at the styrofoam ban movement picking up steam in Baltimore and beyond, including how these styrofoam bans stand to affect the international restaurant industry. What is polystyrene foam, you ask? Best known as “Styrofoam”, a brand name copyrighted by Dow Chemical, polystyrene is a non-biodegradable, synthetic, hard plastic used to make many household items including plastic car parts, packaging material, house insulation, hair dryers, and more. In restaurants, the most common types of polystyrene you’ll find are EPS [expanded polystyrene] and XPS [extruded polystyrene], the plastic that common takeout containers, disposable coffee cups, single use utensils and dinnerware are made of. While it may be waterproof and durable, two “must-haves” in the takeout cutlery job description, they are also very difficult and costly to recycle — if they’re recycled at all. If you think styrofoam is costly now, get this: A new bill given preliminary approval by Baltimore City council could cost restaurants up to $1,000 in fines for using styrofoam dinnerware products. What’s so unique about Baltimore’s proposed styrofoam ban is that the initiative was spearheaded by a group of Baltimore city students. Baltimore Beyond Plastic is a local, youth, grassroots organization composed of Baltimore elementary, middle, and high school students who advocate “against single-use plastics and for a trash-free Baltimore”. “Our goal is to reduce plastic pollution in Baltimore while empowering the youth voice, a demographic that is frequently underrepresented in our city and across the world,” their website reads. At present, the group is focused on preserving the health of the Chesapeake Bay and its inhabitants by advocating for a city wide ban of polystyrene foam products from use at local food service establishments. Bill 017-0177, the official name of the bill proposing the ban, is the culmination of their long-term environmental advocacy efforts. The law will fine food service businesses up to $1000 for each violation. If passed, this styrofoam ban will have a huge impact on the restaurants in Baltimore, many of whom will have to negotiate new deals and purchase new products from (potentially new) vendors and suppliers. Since there are over 11,000 restaurants in the state, the new styrofoam ban will surely complicate matters for multi-location restaurant chains in Maryland - though styrofoam bans have not been passed in every town. “Polystyrene plastic foam is one of the biggest sources of marine litter and costs the state and local governments millions of dollars each year to collect it from beaches, road sides, and storm drains,” writes Mariel Garza in a recent opinion piece she authored for The Los Angeles Times about her city’s own bill to ban polystyrene foam products. Since polystyrene is not biodegradable when it becomes trash (meaning the styrofoam is not able to be broken down or consumed by living organisms like bacteria or fungi), products made of polystyrene foam can’t decay naturally so they just sit as is. Oftentimes, polystyrene foam products will break down into small pieces that and fragments that then pollute our land and waterways; fish and land animals will mistakenly eat these small bits and pieces of polystyrene foam and fall ill or die as a result. In Baltimore’s case, polystyrene dinnerware like foam coffee cups, soda cups, and foam takeout containers became litter that caused both the Inner Harbor and greater Chesapeake Bay ecosystem grave harm. Thanks to Baltimore Beyond Plastic, there’s hope. On February 28, 2018 the Baltimore City council voted unanimously to give Bill 017-0117 preliminary approval, putting the city one step closer to banning polystyrene foam takeout containers, utensils, and dinnerware at Baltimore restaurants. Forty-five minutes outside Baltimore is the town of Takoma Park, Maryland. 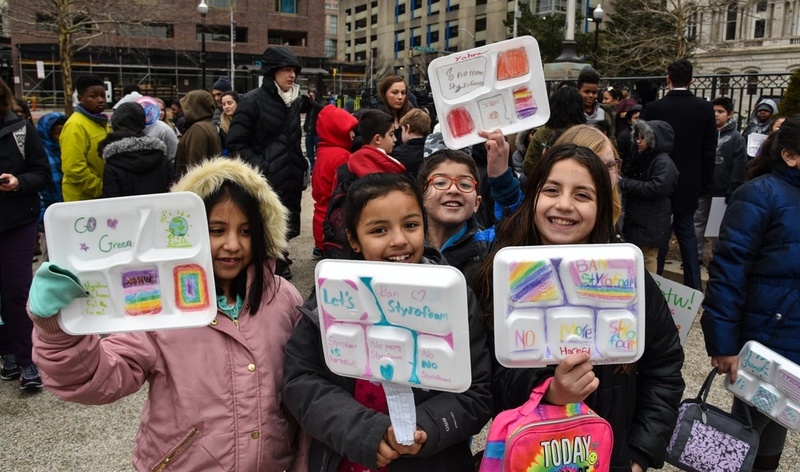 In 2014, they enthusiastically passed an initiative introduced by the Young Activists Club at Piney Elementary School seeking to ban polystyrene foodservice products. Understanding and anticipating the impact on local businesses, Takoma Park researched and rolled out a resource section for restaurant decision makers filled with sustainable alternatives they can purchase at comparable rates to the polystyrene versions. They break down the cost difference between sustainable alternative products and the styrofoam originals, as well as what the change is going to cost your restaurant overall. In a similar vein, the international grassroots push to ban plastic stirring straws in bars and coffee shops is currently picking up steam: The EU intends to ban single use plastic products, like plastic straws and stirring straws, by 2030. This new adoption of sustainability policy, as in the case of styrofoam bans, will impact your restaurant over the next decade. Naturally, the food service industry — specifically businesses with a significant takeout/delivery presence— stands to be the group most drastically impacted by the national grassroots movement to ban single-use polystyrene products. Not sure if your city or state has a polystyrene plastic foam (styrofoam) ban? Groundswell.org has the most up to date list of all cities, counties, and states with a polystyrene foam ban; they update it regularly with new names. From our research, the majority of cities and states taking part in the ban reserve the right to fine violators up to $1000. If your city, county, or state is considering or enacting a ban on styrofoam cups, takeout containers, and other dinnerware items, there are a variety of comparable cost, sustainable substitutes you can purchase for your business. 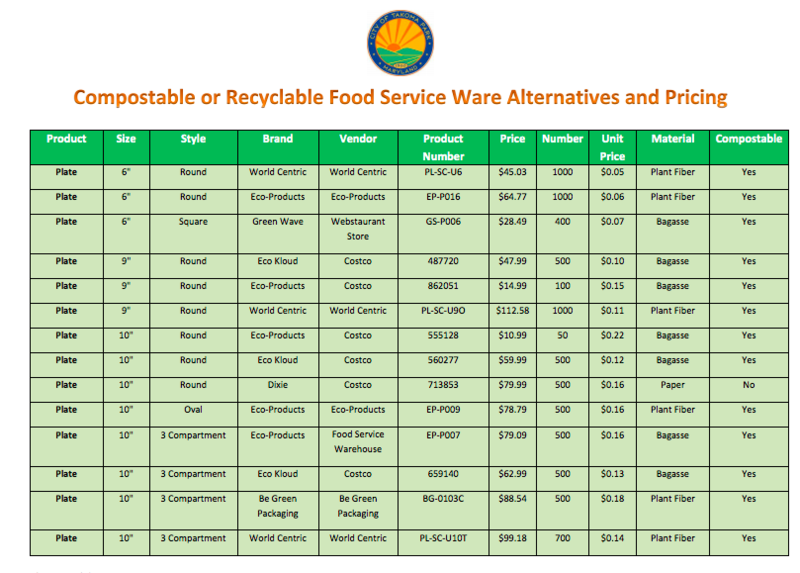 This chart created by the Takoma Park, MD Public Works division lists compostable and recyclable units you can purchase at a wholesale shopping center like Costco, or through your restaurant’s distributor. If your supplier for disposable cutlery and dinnerware does not have cost-effective, sustainable alternatives, shop around! Webstaurant Store and Tundra Restaurant Supply are two restaurant supply wholesalers who sell a variety of options in the recyclable, disposable dinnerware and cutlery category. Coordinating your restaurant’s switch from styrofoam-based disposable products to sustainable alternatives may be a headache at first, but the benefits will quickly add up in dividends for the environment and your business' bottom line. In a 2015 study conducted by The Nielsen Company that analyzed the relationship between consumer behavior and social/environmental sustainability, it was found that 75% of the global millennial population are willing to pay more for sustainable products, and 66% of the global millennial population are willing to pay more to support brands “committed to a positive social and environmental impact.” A comparable study prepared in 2015 by Cone Communications found that millennials would be 87% more loyal to a company that supports social or environmental causes. Use your local styrofoam ban to your advantage by marketing your restaurant’s environmentally conscious operations to existing and prospective customers alike. For example, you could run a social media campaign in time for April's Earth Day that showcases how many pounds of plastic you’ve saved from ending up in local landfills and waterways by making the switch to sustainable alternatives. Your restaurant also might be helping to save the environment without you even knowing it! This past year, the Toast POS restaurant community saved 2,500 trees by adopting the use of digital receipts for customers and KDS screens in their kitchens. Technology not only helps restaurants streamline operational processes, but it also allows these same restaurants to cut down on their paper costs and waste. Via 313 in Austin, Texas, for example, stopped using paper tickets in the kitchen and started allowing guests to opt in for digital receipts. Along with switching to biodegradable or recyclable carry-out products, encourage your customers to bring reusable bags and containers with them when they come to your restaurant, in the event they have leftovers they’d like to take home. It’s another positive step in the direction of reducing the restaurant industry’s disposable plastic product waste, and a great way to get your restaurant’s name associated with the sustainability movement. Coworking spaces have been popping up since 2005, but only recently have restaurants started to capitalize on this trend.